“Why are we here?” “Will the world ever end?” The sky’s the limit for young minds. Innocent and inexperienced, children have endless capacity to question the world around them, challenging parents, teachers and peers alike. There is no question too big for North Bridge House headteachers Christine McLelland and Brodie Bibby though, who channel children’s naturally inquisitive nature in philosophy lessons from Key Stage 1. Since introducing philosophy to the curriculum at North Bridge House Pre-Prep and Prep Schools, Christine and Brodie have structured pupils’ rogue curiosity into meaningful dialogue. “Early introduction to philosophical conversation provides pupils with a platform for their probing questions and opens their minds to different points of view. From Year 1, our children are learning to appreciate each other’s varying opinions, cultures, experiences – they are developing respect and empathy for their classmates as well as an understanding of diversity,” Christine says. 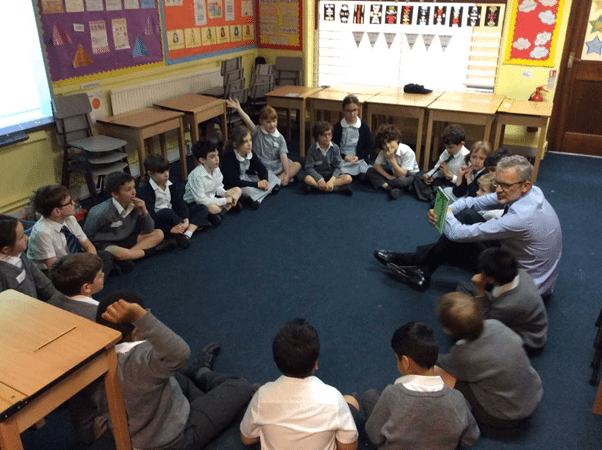 NBH Pre-Prep engages children from both Years 1 and 2 in weekly philosophy lessons, emphasising the importance of their own and each other’s ideas. Class teachers support the children in their thinking, reasoning and questioning, and facilitate the growth of ideas through group discussion. Aside from developing their moral compasses, encouraging philosophical enquiry from an early age has been found to help children better articulate themselves. The Education Endowment Foundation stated that a year of philosophy results in pupils making two-month’s additional progress in reading and Maths. And with 40% of Key Stage 1 pupils performing in the top 5% of the country in English and Maths this year, Christine has definitely seen NBH Pre-Prep pupils develop their skills and understanding over time. Brodie has found that when the children progress to the Prep School for Year 3 (Key Stage 2), they are more rational, sceptical and fair-minded than the typical 7-year-old. The NBH Prep Head of 11 years continues to see the academic advantages in delivering weekly philosophy lessons for his pupils, enhancing their preparation for the top London senior schools. NBH Prep School’s outstanding results certainly seem to evidence this, with many pupils not only gaining entry to the best senior schools in the country but scholarships, awards and prizes for their top academic performances. “Essentially, philosophy nurtures the art of rational thought – the ability to think through a problem following a logical series of steps, which underpins learning across all subjects, from maths to comprehension,” concludes Brodie.